To help you learn more about where and who your fellow members are, in each issue of PORAC Law Enforcement News we’ll profile one of the 14 chapters up and down the state. We hope that reading about each chapter’s challenges and achievements will bring us all closer together and inspire you, your association and your own chapter as you navigate the road ahead. This month, we feature the Bay Area Chapter. 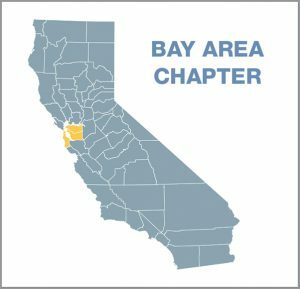 For the Bay Area Chapter, the focus this year has been on leadership — both within the chapter and in the political arena. “The chapter is in the process of leadership transition,” says Jason Wentz, who became chapter president in January after the previous president took on a more active at-large director position in PORAC. “I was nominated by the president of my POA (Richmond Police Officers Association) after being asked to run by several members of the chapter.” So, at the urging of many, he ran unopposed and was elected by acclamation. “Any transition is challenging,” but the chapter has been fortunate because both incoming and outgoing leadership holders are tenured and veteran association leaders, says Wentz, a PORAC member of more than 24 years. This has made for a smooth transition, allowing the chapter to focus on the critical election year. Located at the heart of the San Francisco Bay Area, the chapter is the largest in the state and has the most at-large PORAC Board members, making its sphere of influence significant, especially when it comes to endorsing pro-law-enforcement candidates and lobbying for legislation that aligns with PORAC’s goals. “At recent chapter meetings, dealing with endorsements has been our major focus and task,” says Wentz. The chapter has been very active in the campaigns of several crucial political positions, including two district attorney races and several state positions in its coverage area, which encompasses Alameda, Contra Costa, San Francisco and San Mateo counties. “In addition, a number of legislative bills PORAC is supporting or opposing this year originated with legislators from our area, so that means much lobbying by all our association leaders,” says Wentz. High-priority opposed bills that have originated in the Bay Area include AB 748 on Disclosure of Video and Audio Recordings: Peace Officers by Assembly Member Phil Ting (D-San Francisco), and SB 1421 on Criminal Procedure and Sentencing by Senator Nancy Skinner (D-Berkeley).